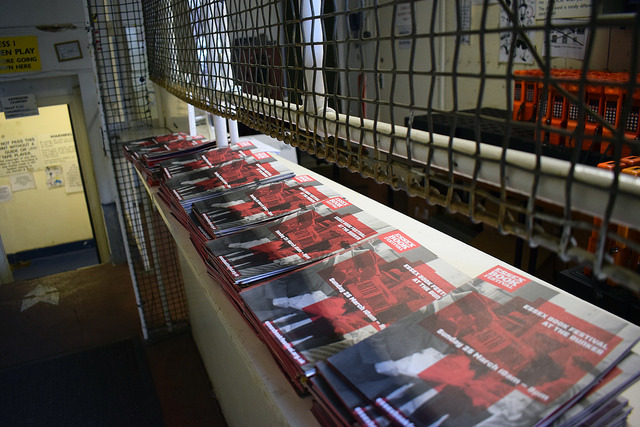 Every year, working with the Radical Essex team based at Focal Point Gallery in Southend, Essex Book Festival hosts an event in an intriguing but relatively unknown Essex location. Last year we hosted a Radical Writing Retreat for thirty people at The Othona Centre in Bradwell-on-Sea. Located on the site of an ancient Roman harbour and adjacent to St Peter-on-the-Wall Chapel, one of the UK’s oldest buildings, boasting radical morning ‘dips’ in the freezing Black Water, plus nightly visitations from a family of badgers, our participants’ notebooks were fit to bursting when they decamped four days later. 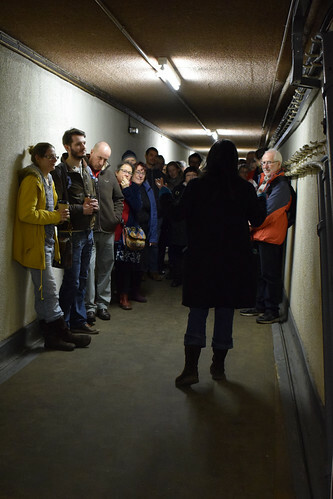 This year we decided to head underground into Kelvedon Hatch Secret Nuclear Bunker. We try not to use the word ‘highlights’ when we talk about the Festival, still it’s hard to think of a more suitable word to describe the literary and artistic delights that took place on March 25th as part of our fabulous The Nuclear Option. Aside from a range of fascinating and site-appropriate author talks and panels, including Sir Rodric Braithwaite, ex-Ambassador to the Kremlin during the Cold War, who was talking about his latest book Armageddon and Paranoia, participants were treated to a feast of delicacies, such as, the Live Poetry Juke Box in The Commander’s Bedroom, a series of excellent interventions and screenings by Polish/Latvian artist collective Peeling Onions With Granny, and notwithstanding that, the completely unforgettable Gogol’s Silent Disco courtesy of award-winning Estonian writer Paavo Matsin who created his own playlist of Estonian songs banned under Communist rule. The challenge is now on to come up with next year’s special destination for our 20th Birthday Celebrations. Let us know if you have any good ideas.